In the 1890s large, fashionable hotels lined the blocks along Broadway below 34th Street. 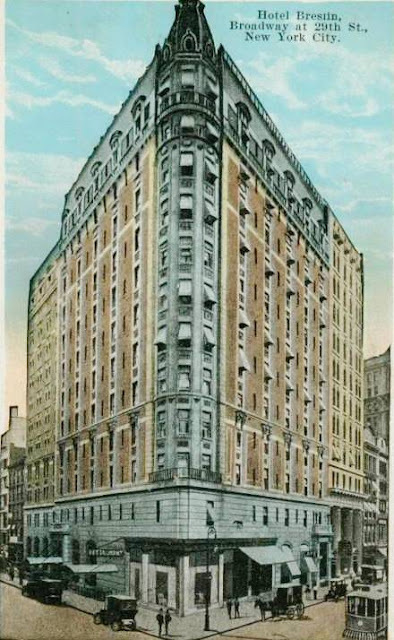 As the turn of the century passed and the entertainment district moved further up to the area around Times Square, the Broadway hotels became less exclusive. James H. Breslin, who owned the famous, ornate cast iron Gilsey House at 29th Street and Broadway, purchased the large Sturtevant House across the street at No. 1186 Broadway. Breslin razed the old hotel and commissioned architects Clinton & Russell to design a modern, twelve-story residence hotel on the site. Construction on the restrained French Renaissance structure was started in 1903 and completed a year later at a cost of $1 million. On the oddly-shaped trapezoidal lot, the designers produced a red brick, limestone and terra cotta structure, glaringly up-to-date compared to its wedding cake neighbor, the Gilsey House. Atop the rounded corner a modified Mansard cap completed the Breslin Hotel’s design. Breslin send out 1,000 invitations to the opening night celebration on November 12, 1904. 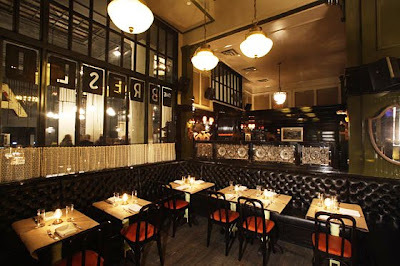 The New York Times was impressed with the forward-thinking innovation of, along with the regular dining room and grill room, a ladies’ grill room. To make the scandal worse, Mrs. Chadwick had fallen ill and could not be removed from her suite of three rooms. Therefore, Marshall Henckel was forced to stay the night in her rooms, under the watchful eye of her maids. Two years after the hotel’s opening James Breslin – who had started out as a bellboy in Saratoga’s United States Hotel – died on March 31, 1906, the owner of several well-known hotels. That same year the hotel announced plans for expansion. Clinton & Russell were commissioned to extend the hotel 52 feet, 9 inches to the south. “The architecture and building material will harmonize with the old building,” it was promised. In 1911 The New York Times noted that the hotels in this area of Broadway “have suffered from the change of the centre of Broadway hotel life to the neighborhood of Times Square” and on May 6 of that year the Breslin was sold in what would start a long list of turn-overs. Speaking of the new Ottawa-based owners, The Times said “It is understood that the new company intends to cater to the Canadian business men’s trade in this city, which is very profitable and is increasing yearly.” The 400-room facility was now worth approximately $3 million. That same year Maria Jose Mora, a leading stage and society photographer, took up residency in the hotel, which offered both resident and transient accomodations. In 1925 the Breslin was sold again, this time to Paul A. McGolrick. Within a year the management had to break into the apartment of Maria Jose Mora who had padlocked himself inside and was living mainly on pies and cakes. The former photographer was found unconscious and was declared incompetent and removed to a hospital. Mora, who had been living off the charity of other tenants, was found to have $8,696 in various bank accounts. Sidney Claman, owner of the Times Square Hotel, purchased the Breslin in 1937 and by 1955 when it was sold to Max A. Goldbaum the glory days of Broadway and 29th Street were gone: as evidenced when a year later five thugs held up nine persons including a police officer in the hotel, escaping with $861 in cash. Only three years later, in 1958 Goldbaum leased the hotel to the Beryl-Jason Holding Corporation. 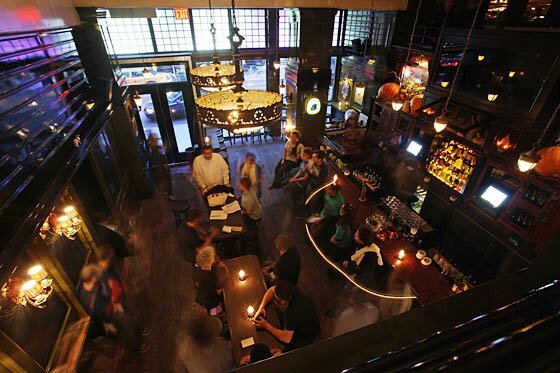 By 2007 the Breslin had degraded to a single-occupancy dive. According to the New York Observer, tenants complained of “chronic heating problems, mounds of untended garbage piling up, elevators constantly malfunctioning—the doors of the lifts noisily slamming shut, swinging open, shutting, opening, over and over, like some chomping mechanical monster.” In the shared bathrooms there were faucets taped with duct tape. In 2008 Ace Hotel Group acquired the existing lease on the Breslin for $40 million. Despite the conditions, tenants fought their buy-outs in court. In 2010, after court struggles and extensive renovations by architectural firm Roman & Williams, the trendy Ace Hotel was completed. Upscale shops replaced the street level stores and the sleek modern hotel rooms, purportedly available for under $300 per night, now attract a young, hip crowd. Nevertheless, a century-old slice of New York has been recovered and the Breslin Hotel will survive. I've lived in the Breslin since 1994. Conditions in the SRO were not nearly as bad as suggested in the wikipedia entry. The management at the time tried ernestly to keep the building livable. Mother Barnes knew you. Kudos.